It has been a fine time for celebrating industrial archaeology in Cornwall and Devon. Awarded the World Heritage Status for Cornish Mining, the Cornish Mining Site is not one place, but several, spread across Cornwall and into Devon along the Tamar Valley from Gunnislake and beyond. 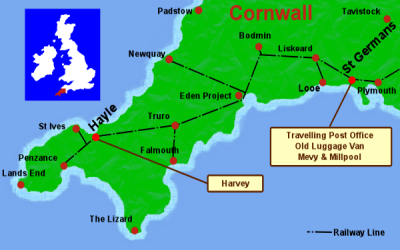 Harvey is within the Hayle mining heritage area, while the carriages at St Germans are within easy reach of both Bodmin Moor and Tamar Valley sites. Much of Cornwall’s industrial infrastructure has been used for the creation of walking, cycling and horse riding tracks. 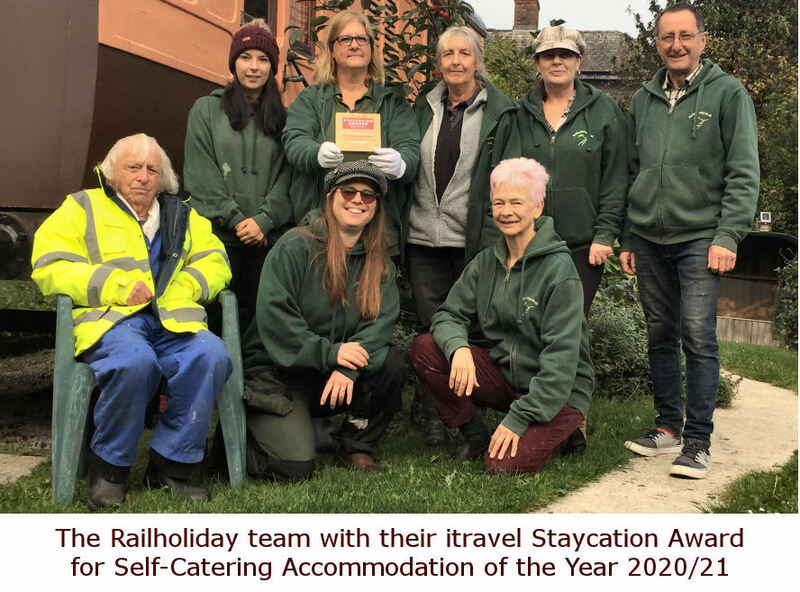 And of course a stay in one of our railway carriages wouldn’t be complete without visiting a preserved railway; there are many excellent ones easily accessed by train; including Bodmin Railway, who offer discounts to Railholiday visitors, and South Devon. Do check out our Events Page for information on the many heritage related festivals; Murdock Day in Redruth, Golowan in Penzance, Trevithick Day in Camborne to quote a few. With Poldark fever running high, it would be a shame not to explore some of the locations, from the unspoilt harbour of Charlestown to the impressive ruins at Bottalack and Levant. 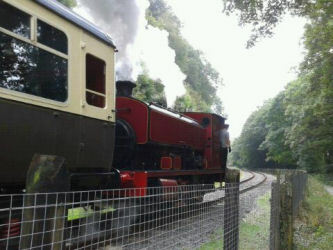 Bodmin and Wenford Railway - Friendly local railway offering lots of special weekend events, and with a service that runs from Bodmin Parkway station. Bodmin Railway offer all Railholiday customers 25% off their fare on normal service days.Address: General Station, Bodmin, Cornwall, PL31 1AQ. 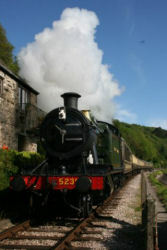 www.bodminrailway.co.uk Tel: 08451 259678. Plym Valley Railway - founded in 1980 with an aim of restoring part of the ex-Great Western branch line from Plymouth to Tavistock that was closed in 1962. Currently offering 3/4 mile of track along the Plym Valley, this makes a great day out when combined with a cycle ride along the Plym Valley Cycle trail. Check website for opening times. Lappa Valley Railway - Narrow gauge line on mineral railway trackbed. Address: St. Newlyn East, Newquay, Cornwall, TR8 5LX. www.lappavalley.co.uk Tel: 01872 510317. Launceston Steam Railway - Narrow gauge on North Cornwall Railway trackbed. Hunslet loco's. Address: St Thomas Road, Launceston, Cornwall, PL15 8DA. www.launcestonsr.co.uk Tel: 01566 775665. Dartmouth Steam Railway and River Boat - Preserved GWR line along the Devon coast. Address: Queens Park Station, Torbay Road, Paignton, TQ4 6AF - www.dartmouthrailriver.co.uk. Tel: 01803 555872. South Devon Railway - Branch line operated by steam trains between Totnes and Buckfastleigh through the beautiful Dart Valley. Address: The Station, Dart Bridge Road, Buckfastleigh, South Devon, TQ11 0DZ. www.southdevonrailway.co.uk Tel: 08453 451420. World of Model Railways - Computerised model railway offering visitors the opportunity to control the trains. Fascinating layout with tremendous attention to detail. Includes an extensive model shop. Address: Meadow Street, Mevagissey Cornwall, PL26 6UL. www.model-railway.co.uk Tel: 01726 842457. Blue Hills Tin Streams - The last working tin streams in Cornwall. Address: Wheal Kitty, St Agnes, Cornwall, TR5 0YW. Tel: 01872 553341. Bodmin Jail - Dark, dank, gloomy - but different. Address: Berrycombe View, Bodmin, PL31 2NR. Tel: 01208 76292. Carnglaze Slate Caverns - Underground slate quarry. Address: St Neot, Liskeard, PL146HQ. Tel: 01579 320251. Cornish Mines & Engines - One of the largest surviving Cornish beam engines in the world. At the very heart of the Cornish Mining World Heritage Site sit these two great beam engines, preserved in their towering engine houses, they are a reminder of Cornwall's days as a world-famous centre of industry, engineering and innovation. Address: Pool, near Redruth, Cornwall, TR15 3ED. Tel: 01209 315027. Camel Valley Vineyard - Tasting and tours. Address: Nanstallon, Bodmin, Cornwall, PL30 5LG. Tel: 01208 77959. Cornish Mining - Cornwalls World Heritage Site status for its mining history. Head Office Address: The Percuil Building, Cornwall Council, Old County Hall, Truro, Cornwall, TR1 3AY Tel: 01872 322586. Dartmoor Prison - Unlocking the history of one of England's most famous prisons, Dartmoor Prison Museum reflects the heritage of HMP Dartmoor from Prisoner of War Depot to the present day. The interesting collection of artefacts provides a unique insight into prison life both past and present. Of interest to all ages and groups, Dartmoor Prison Museum is located in the old dairy buildings with parking available. Address: Dartmoor Prison Museum, HMP Dartmoor, Princetown, Devon, PL20 6RR. Tel: 01822 890305. Dingles Steam Village - working traction engines. Address: Milford, Lifton, Devon PL16 0AT. Tel: 01566 783425. Geevor Tin Mine - Working until 1990. Museum and underground tour. Address: Pendeen, Penzance, Cornwall, TR19 7EW. Tel: 01736 788662. King Edward Mine - Ore processing plant and underground tour. Address: Troon, Camborne, Cornwall, TR14 9HW. Tel: 01209 612681. Levant Engine House - National Trust owned restored and operational engine house. Address: Trewellard, Pendeen, nr St Just, Cornwall, TR19 7SX. Tel: 01736 786156. Trinity House National Lighthouse Centre - The Trinity House collection of lighthouse artefacts. Address: The Old Buoy Store. Wharf Road, Penzance, Cornwall, TR18 4BN. Tel: 01736 360077. Lizard Wireless Station - Built in 1900 by Marconi for the first Transatlantic broadcasts. Address: Lizard Point, Helston, TR12 7AU. Tel: 01209 210900. Lizard Lighthouse - (C1), Tel: 01326 290065 - Tour the engine room and the towers. Morwellham Quay - Calstock (F3), Tel: 01822 833808 - Restored mineral ore processing works and quays. Museum of Smuggling and Fishing - Polperro (E2), Tel: 01503 272423 - Good litle museum in old pilchard factory. National Maritime Museum Cornwall - Falmouth (D2), Tel: 01326 313388 - Boats and there place in peoples lives. St Austell Ales - St Austell (E2), Tel: 08452 411122 - Brewery tours and tastings. Tolgus Tin - Redruth (C2), Tel: 01209 215185 - Tin stream works and stamping mill. Wheal Martyn - St Austell (E2), Tel: 01726 850362 - Preserved china clay works.